Trust the people to get it right. It's early November 2014 at the W Hotel in San Francisco and Blocks Wearables has just lost out on half a million dollars of prize money to the autonomous wrist mounted drone, Nixie, at Intel's first ever Make It Wearable competition. So what are Team Blocks - then, four Imperial College London postgrad students including co-founders Serge Vasylechko and Alireza Tahmasebzadeh - smiling about? Blocks walked away with the People's Choice Award, that's what. At this, the halfway point in our underdog story, when Wareable first encountered the project and the people behind it, the first ever modular smartwatch was already almost a year in the making. The concept of building a personalised smartwatch, which has since become a trendy post-Pebble talisman for the world of wearable tech, first came about way back in December 2013. It's no coincidence that this was just two months after Motorola announced Project Ara, the first high profile smartphone with modular hardware, since folded into Google's Advanced Technology and Projects division. With the Blocks Kickstarter campaign now live, both the wearable tech landscape and Blocks' place within it has shifted since the end of 2013. But not as much as you'd first think. The vision of tech that Blocks Wearables is now flogging is as bold as it is tantalising - personalised and upgradeable, more timeless keepsake than throwaway gadget garbage. But as co-founder Tahmasebzadeh explained to Wareable - we'll call him Ali from now on - it all stems from the initial dream of building choice into tech consumption. "We're not just selling a product, we're selling a new way of looking at technology," he said. "There is no success story for a modular device yet. After seeing Google start making its modular smartphone we were able to say - there is a movement going on towards more personalised technology, towards electronics that last and that you don't need to upgrade every year to small, incremental changes." The journey of Blocks Wearables to its crowdfunding campaign has been very much out in the open and that is both valuable and potentially dangerous for a startup that has captured the internet's imagination like this one. Since we first heard tell of Blocks, Apple launched its first wearable to big (for the industry) sales, Pebble pretty much broke Kickstarter with its $20 million Time and Time Steel campaign and Samsung smartwatches have continued to be released at a rate of one per calendar month - only a slight exaggeration. There was still no sign even of Project Ara and yet Imperial College London's finest have been building prototype after prototype - see the YouTube demo below for a quick guide to version 4. The first design prototypes were made in early 2014 and eventually showcased to Intel CEO Brian Krzanich and his band of celebrity and business judges later that year. Since then Blocks' biggest and most influential partner, aside from its manufacturing partner Compal, has actually been rival chipmaker Qualcomm. 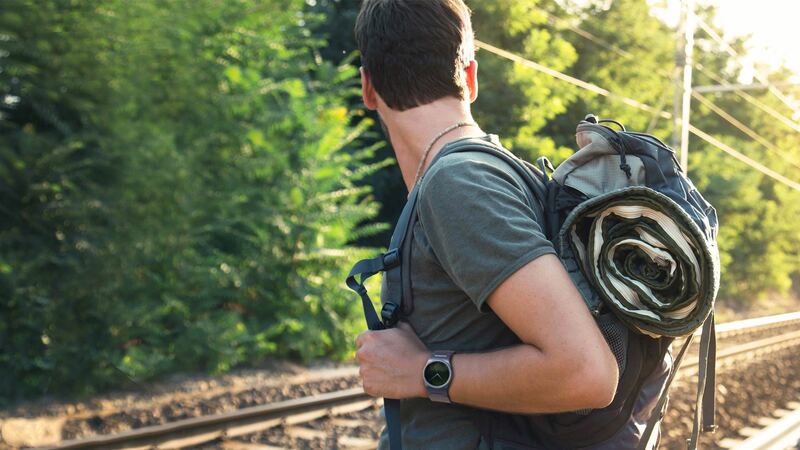 The Android smartwatch runs on the same powerful and battery efficient Snapdragon 400 processor that is found in the Moto 360 2, LG Watch Urbane Second Edition and Samsung Gear S2. It's a partnership, starting with Snapdragon prototypes in April 2015, that elevates the Blocks watch from ten-a-penny, wearable crowdfunding campaign to a spec list that wouldn't make Ali, Serge and their team blush if confronted with the biggest global names in technology, never mind the wearable tech space. "It just reduced the risk for us. We are making a revolutionary technology, we don't want to risk the core part of it. That's not where our innovation comes in. And we wanted to use something that definitely works," said Ali. The London-based Blocks team, now some 21 bodies strong across design, engineering, software and marketing, puts a lot of its success so far down to these and other, as yet unannounced, partnerships including two of "the biggest telecoms companies in the US and the UK" for SIM modules as well as financial payment providers for contactless payment modules. Barclaycard has been mentioned in the past but nothing is official yet and we will have to be patient with the teasing for a little while longer. Despite the fact that the original launch date was early to mid-2015, Ali is confident that the 100,000-strong online community, which the team engages via Google Hangouts Q&As, emails and social media, can hang on just a teensy bit longer, specifically until shipping begins in May 2016. "Blocks is not like a normal product, it's not a design product where there's has been only a small change in the industry," he said. "It's like Google's Project Ara. Google delayed, Google has taken a lot of time working on this. Making a modular electronic device has always been something people want but it's not something that's easy to build." Among the biggest technical challenges were the proprietary connectors used between the band modules and the core module. The technology involved has been in development for 22 months with input from pre-manufacturing specialist Dragon Innovation which includes the likes of Pebble and MakerBot on its previous list of projects. The 'plug and play' connectors allow users to switch modules in and out in a matter of seconds and have been rigorously tested for "durability, water resistance, fatigue and stress" as well as finding the "sweet spot between comfort and the electronics" for the size of the curved modules themselves. One hour into the Blocks crowdfunding campaign on Kickstarter, the team smashed through the initial target of $250,000. Not a bad start and within a few hours over 1,000 backers had pledged to finally turn the modular smartwatch into a wearable tech reality. Speaking to Wareable ahead of the page going live, Ali said that "hopefully" by the time its 37 remaining days are up, Blocks will be one of the biggest Kickstarter campaigns so far. If they can keep the momentum up, it certainly looks set to be a multi-million dollar campaign. That said, the Blocks smartwatch on offer isn't perfect. It isn't as cheap as originally promised - in late 2014, the talk was of a $150 base model but now a Blocks smartwatch with a dumb strap is selling for $195 on Kickstarter and with four modules, it's $285. In particular, Ali himself is also especially concerned with the aesthetics and the interaction of the modular watch. Both, of course, will be improved by the addition of extra core modules and Blocks in 2016 and beyond. "This would appeal to women," he argued. "This is something we considered in sizing and how it should be possible to fit women's wrists. We do need, in later iterations, to cater our design more towards women as well. We are working with some jewellery company and materials partners on making devices that will be more catered to specifically women." We're working on gesture modules to control the smartwatch with finger taps and wrist motions. Rectangular and smart band-style display modules are also on the cards, from Blocks Wearables itself and ideally from third parties. It has been an open platform from the very beginning and so a module development kit will be made available to companies and individuals looking to build $30 - $45 modules at an as yet unspecified date before May. The idea is that each new module or sensor spawns tens or hundreds of new apps. "As a startup, we cannot start by having ten different cores and twenty different modules," said Tahmasebzadeh. "We need to start with things that are more popular. People tend to like circular screens but again it is in the plan to offer different types of screens - E Ink screens, rectangular screens, band-type screens as well as a lot of different modules." Finally, Blocks' co-founder doesn't just want to end our relationship with 'this year's gadget', it has a problem with our obsession with touchscreens too. Read this: Should you back the Blocks smartwatch? "We've been working on gesture modules to be able to control the smartwatch with small finger taps, finger movements and wrist motions," he said. "This isn't available in the initial set of modules. What I haven't seen is less friction in interacting with smartwatches - touching screens with our fingers isn't the correct thing to do. The ideal wearable from an interaction side would be a wearable you can control with one hand - hopefully next year. That's the background of what I was doing before Blocks and the direction that Blocks will be going in." With the goal reached so quickly and hundreds of comments and questions stacking up, the team posted the following update to the Kickstarter page: "It has been an amazing start for us. The whole BLOCKS team is working hard to respond to all your questions and comments. We are a young and very passionate team, with ambitious goals, to change how the world looks at technology." On Day One of Kickstarter for a startup that's had its time in the hype machine limelight, this team of underdogs will no doubt be smiling hard. Now they just need to follow in Pebble's footsteps and keep (most of) the people who have propelled them into the tech mainstream smiling too.